The Whitefeet Mice are in trouble---sinister Brown Rats have captured their prince and invaded their homeland! Can young Chip and his ragtag brigade prevail against such a vast army? Only with the Maker's help! From renowned storyteller Gilbert Morris comes an action-packed tale of adventure sure to captivate your 8- to 12-year-olds. - Publisher In this adventure-filled book, an unlikely hero leads an army of fellow Whitefeet Mice to protect the royal family and defend their homeland against a Brown Rat invasion. 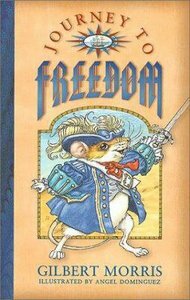 In this adventure-filled book, an unlikely hero leads an army of fellow Whitefeet Mice to protect the royal family and defend their homeland against a Brown Rat invasion.